1. Get the new computer and finish the installation of Windows if need be. If the computer is OEM from a Dell or HP, make sure the PC is setup and you can get to the desktop of the computer. I found it best to call, because the process is NOT a chargeable call. You have to be sure to call the correct department and be careful where you give out your credit card number. I called 1-877-568-2495, but you may find it better to get contact details from Microsoft’s homepage. It is important that you have an OS already installed (OEM is fine, too). You find the product key in Computer –> Properties just under the computer name. This allows Microsoft to verify your qualified for the downgrade. Have that handy on a piece of paper or make sure you can get to the computer remotely. If in the US, you’ll be charged $23.00 for the CD, if in Canada $33.00 plus shipping costs. 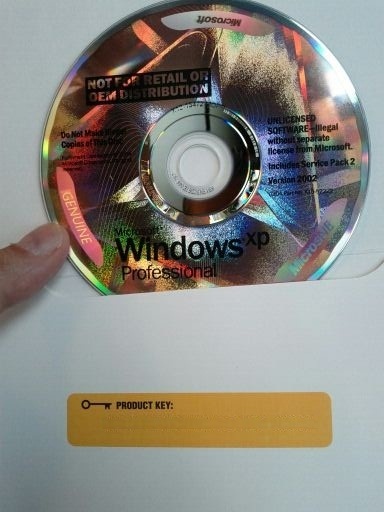 With the CD, boot the machine from it and Install Windows XP. You should be able to activate online without issue… or, if need be call to get a key generated by Microsoft: 1-800-936-5700 (you’ll have to go through voice prompts). You will have another major hurdle in finding suitable drivers. In many cases, they are just not available. You’ll at least have solved the problem of getting Windows XP. Another option would be to virtualize your copy of Windows XP in a VirtualBox Virtual Machine or using the Windows XP mode. 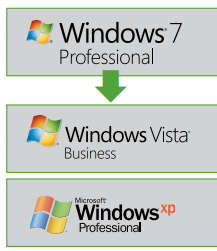 The idea behind virtualizing is that when you’ve outlived the usefulness of Windows XP – you can remove the VM and the base OS will be ready to use.